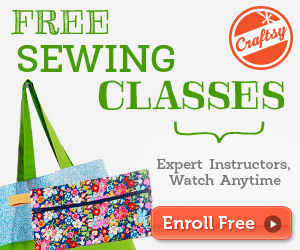 Here at SewingMastery.com we have wrapped up filming over 95 free video tutorial videos (totaling over 5 1/2 hours!) on the Husqvarna Viking Designer EPIC sewing and embroidery machine. Along the way we have found some of our favorite stitches, features and functions that make this machine a MUST HAVE! I will never forget the first time I sat down in front of the Husqvarna Viking EPIC sewing and embroidery machine. It was amazing. Everything was smooth, quiet, fast, bright and easy to navigate. Even while filming all the videos I was reminded of so many things that make this machine truly spectacular. Fast forward to today. We have taught hundreds of classes with Husqvarna Viking EPIC owners in them. The machines sew like a dream and embroider like a champion. They just work. From day one they have proven themself over and over that they are worth their weight in gold. The Husqvarna Viking Designer EPIC is one of the LIGHTEST top-of-the-line sewing machines compared to other top-of-the-line machines. Husqvarna Viking spent tons of money, time and research to reduce the weight of the machine while keeping it smooth and quiet during full sewing speeds. The Husqvarna Viking Designer EPIC needle threader is as smooth as it gets. Set the thread into the guide and press the button – DONE. 3. Extra LARGE Throat Space – 12″! The space between the needle and the inside of the Husqvarna Viking EPIC sewing machine is a full 12″. One of the largest available today. 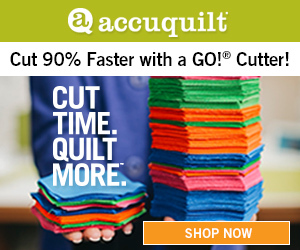 A larger sewing machine bed helps with free motion quilting as well as offering a full 10″ wide embroidery area. The Husqvarna Viking EPIC sewing machine has an entire area dedicated to exclusive specialty stitches. These stitches include Sequin stitches, Pop Up stitches, Themed stitches, Dimensional stitches, Crystal stitches and Applique stitches. Whether for instant machine updates, transferring designs from the computer to the machine, new project tutorials, or the latest Husqvarna Viking blog posts, being connected to your home’s wifi will keep this machine up to date. Access all your embroidery designs stored on the cloud from any Husqvarna Viking EPIC machine around the world. Skip a USB stick all together – the designs directly from the computer to the machine via the mySewnet cloud. The Husqvarna Viking EPIC has the most precise embroidery positioning options. Aligning repeated embroidery designs is super easy with the built-in Design Positioning function. You practically can “hoop crooked” and the machine will do the rest to realign to the perfection position. Set your phone with the free mySewMonitor app to be notified with embroidery designs finish, when to change thread, when bobbin thread runs low and even when a thread break has occurred. Save time by letting the mySewMonitor app keep an “eye” on your embroidery progress for you. 9. Color Block Sort – One of my favorite features! When embroidering multiples of the same design in a large hoop, use the Color Block Sort to have the machine stitch all the same color section at one time. For example, it will stitch all color #1’s at once without stopping then stitch all the color #2’s. Load up an embroidery hoop will lots of the same design and only have to chance color a few times! Download the free Husqvarna Viking complimentary Quick Font software to add fonts to the EPIC machine. Fonts can be a wide range of sizes, fill stitches, appliqué options, satin outlines and single outlines. Truly unlimited! These are just a sampling of the fantastic features of the Husqvarna Viking EPIC sewing and embroidery machine. Check out this machine at your local Husqvarna Viking retailer or at HusqvarnaViking.com. We used the Husqvarna Viking EPIC in the filming of our popular Embroidery Essentials online course. We selected to use this machine for its embroidery speed and the quietness while filming the course. If you own a Viking EPIC and enroll in the Embroidery Essentials online course you will feel right a home. through heavy/dense fabrics or multiple layers. How is this measured and can you find this measurement for other sewing machines. I think this is great information. Thank you. If I were an engineer I would be able to describe this correctly…but from a sewists point of view I can feel the Viking EPIC can push a needle through more fabric than any of my other top-of-the-line machines. It is sight to behold! Fold a piece of fabric 8 times and than fold it again and than again for a total of 32 layers and watch this machine tackle it like a beast! Sounds great but, I am seriously considering purchasing an Epic and would like to know about feeding capability….are there adequate feed dogs to make all sewing types easy and fluid ? I always hate sewing the ends of fabric to find them bunching up. Thanks for your thoughts on this. Hi, We highly recommend you go try it for yourself. Take some of the fabrics you have trouble with and put it to the test at your local Viking retailer. We think you will be very impressed!